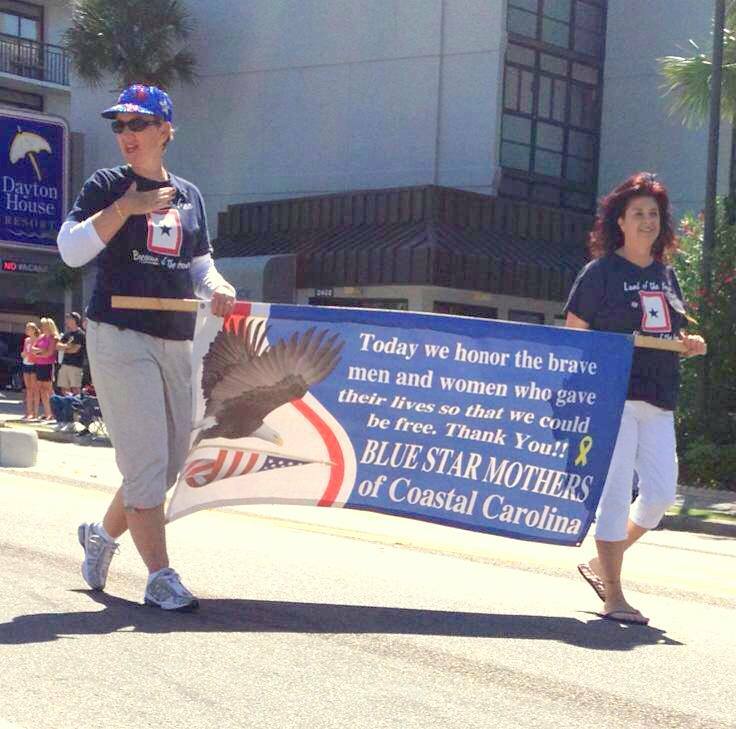 Welcome to Blue Star Mothers of Coastal Carolina. 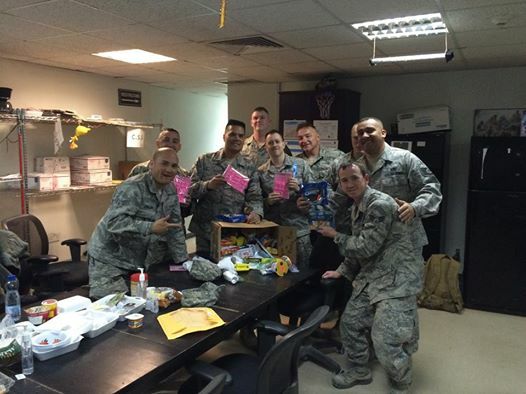 Please "friend" us on Facebook to get daily updates about our ongoing activities - "BlueStarMothers CoastalCarolina"
We are looking for names and addresses of those who are deployed outside of the United States so that we can send them one of these Hero Boxes. WE RAISED NEARLY $3,000 FROM THE TICKET SALES, RAFFLES, AUCTIONS, AND CASH DONATIONS AT OUR 2018 PIG ROAST...LET'S MAKE 2019 EVEN BETTER!! MARK YOUR CALENDARS NOW!!! 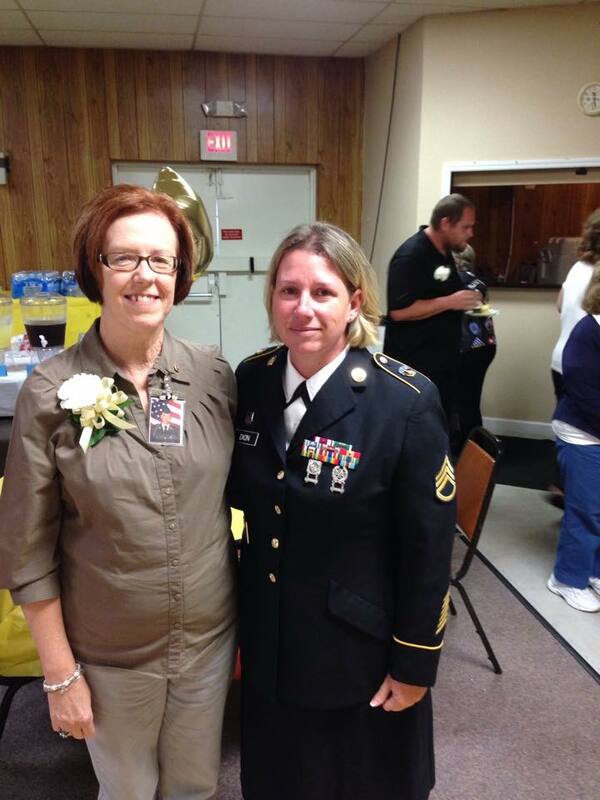 The 2019 Gold Star Mothers and Families Recognition Event will be held on Sunday, September 29, 2019. It will begin at 2:00 p.m. at The Moose Lodge 1959, 479 Burcale Rd., Myrtle Beach, SC. 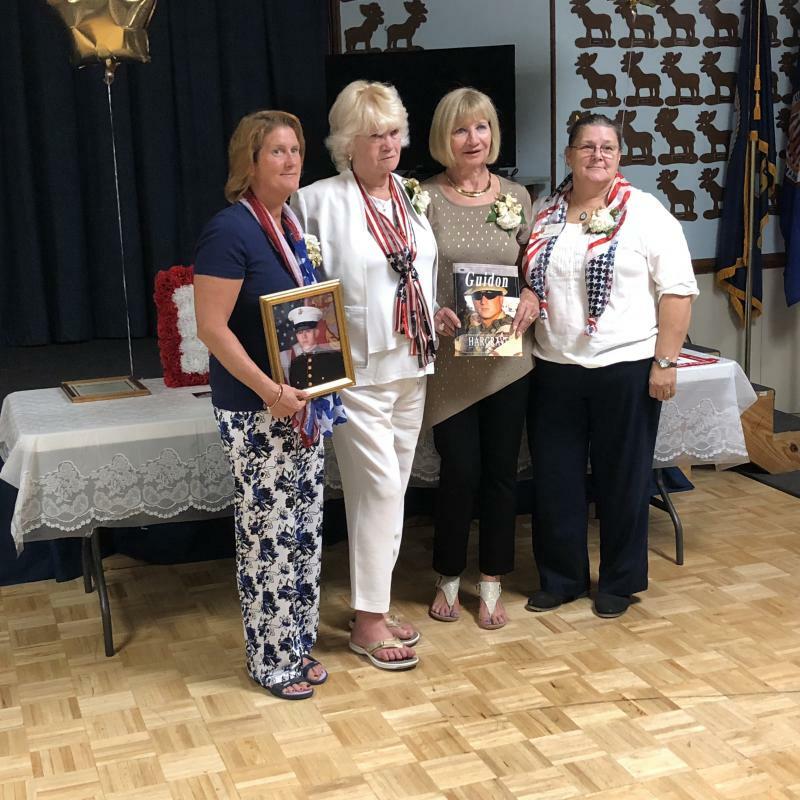 The above picture is from our Gold Star Mother Recognition Ceremony on September 30, 2018. Thanks to all who helped us honor our veterans buried at Florence National Cemetery in 2018...over 5,600!! However, with nearly 13,000 veterans buried there, we have our work cut out for us in 2019. Please check out our Wreaths Across America Page for more information about how to sponsor wreaths. 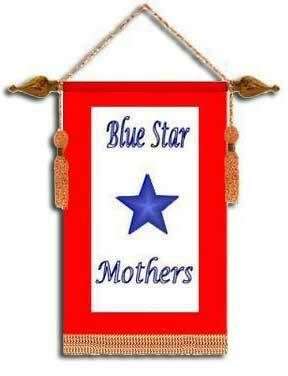 As a registered sponsor, Blue Star Mothers of Coastal Carolina receives one free wreath for every two wreaths ordered through us! Thanks to Lowes Foods in Murrells Inlet for collecting and donating over 5,200 Cliff Bars for our Easter Hero Boxes!! Thanks to the Girl Scouts of Eastern South Carolina for their generous donation of over 700 cases of Girl Scout cookies in 2018!! 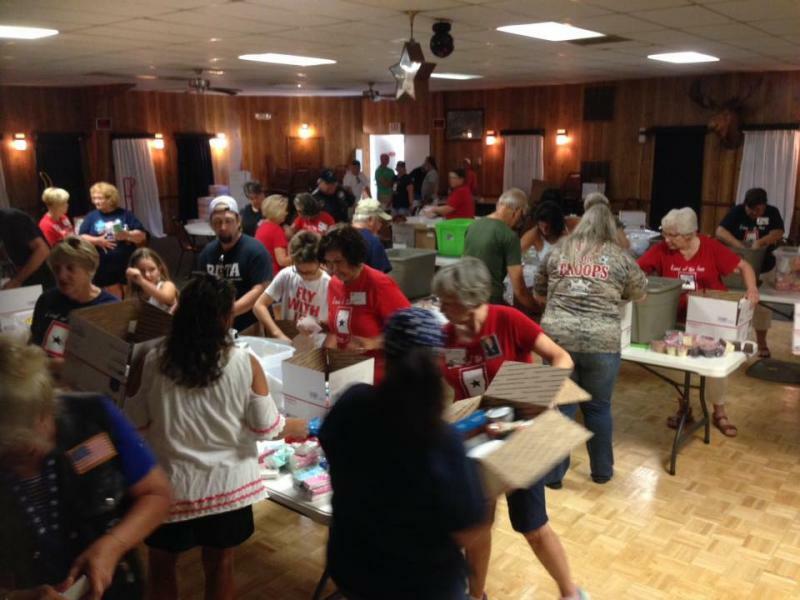 We packed up about 100 Summer Hero Boxes on June 23, 2018!! please check out our "Events - Calendar" page for more details!! 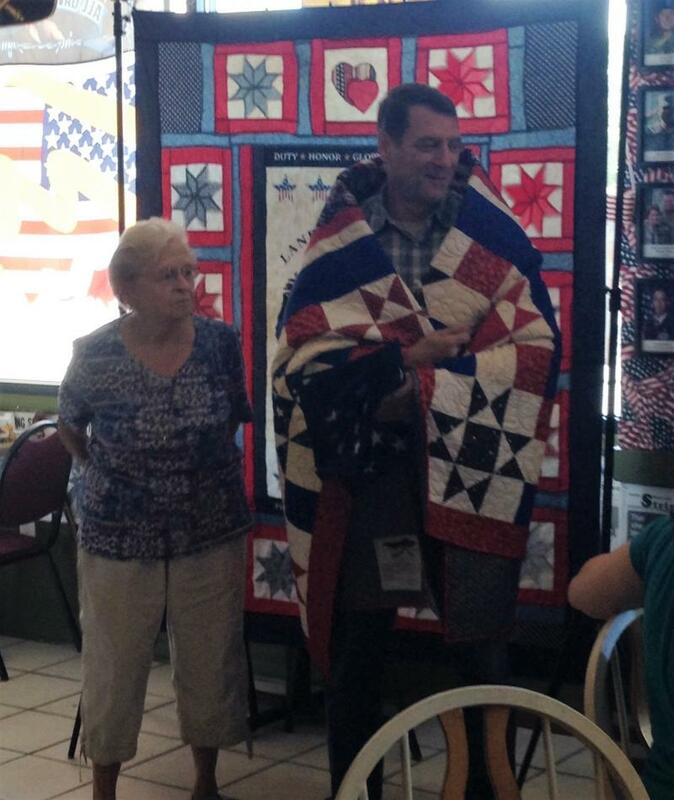 Presentation of Quilt of Valor to Retired Army Major John Dufresne, son of Blue Star Mother Beverly Dufresne. 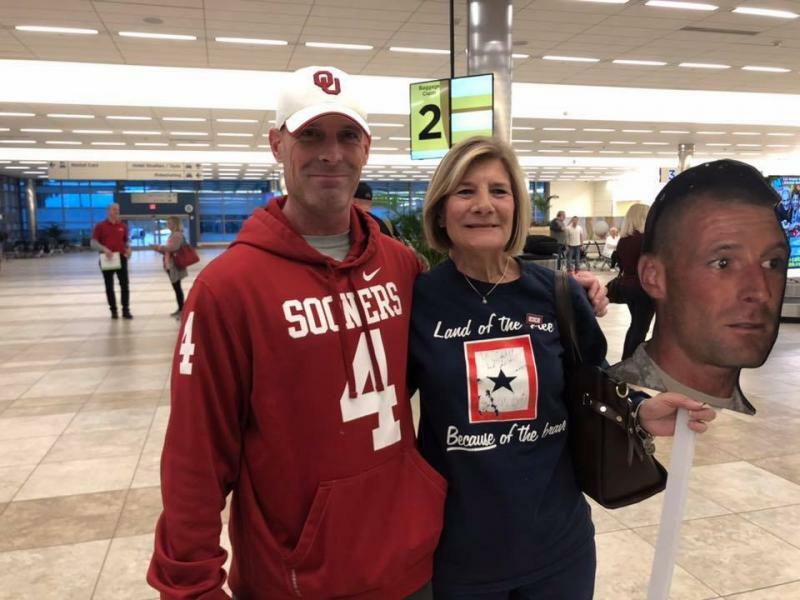 Thank you for your service, John. Oh, how they love those Hero Boxes!!!! For information on how to order wreaths on-line and pay with a credit card or electronic check, please go to our Wreaths Across America page! For the past 5 years, we have been registered sponsors for Wreaths Across America. We hope to one day raise enough money to sponsor a wreath for every single veteran buried at Florence National Cemetery this December. For every 2 wreaths sponsored through Blue Star Mothers of Coastal Carolina, Wreaths Across America provides a 3rd one for free. Check out our Wreaths Across America page for more information about the program. You can retrieve an order form from that link. 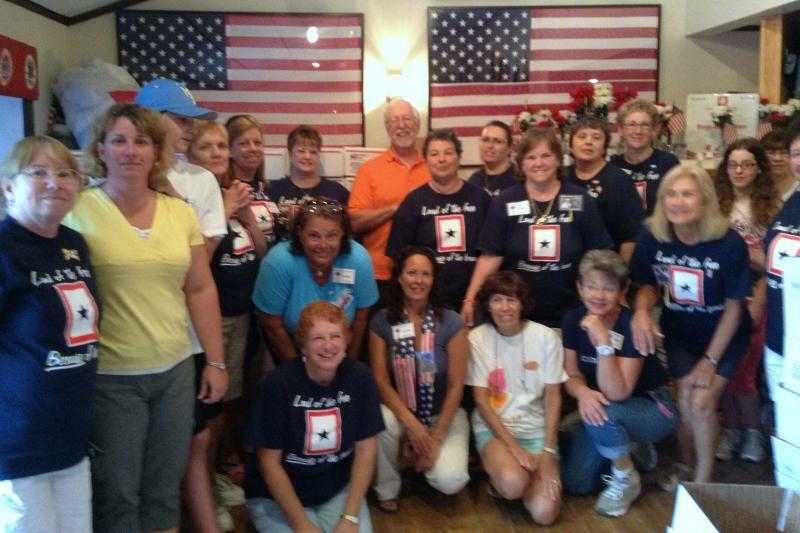 A special thanks to LIFE STORAGE in Surfside Beach, which has generously provided Blue Star Mothers of Coastal Carolina with a complimentary storage unit for the coming year. 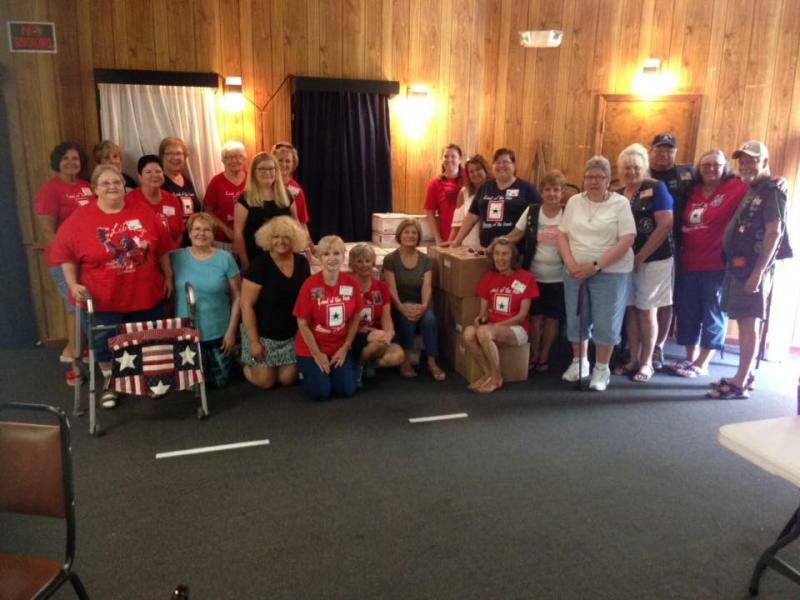 This is a tremendous help to us, allowing Blue Star Mothers to collect LOTS OF GOODIES and store them until our next Hero Box packing event. 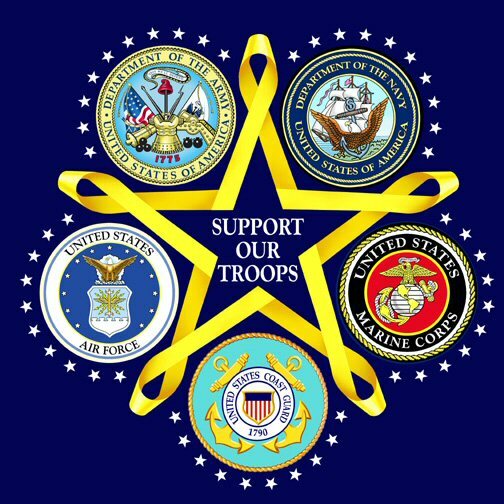 under "Photos" and "More Photos"
We symbolize our support through blue star flags displayed in the windows of our homes during wartime and we actively support our troops through a variety of loving, creative ideas. If you have a loved one in any branch of the military and need a shoulder to lean on in these uncertain times, we are here for you. 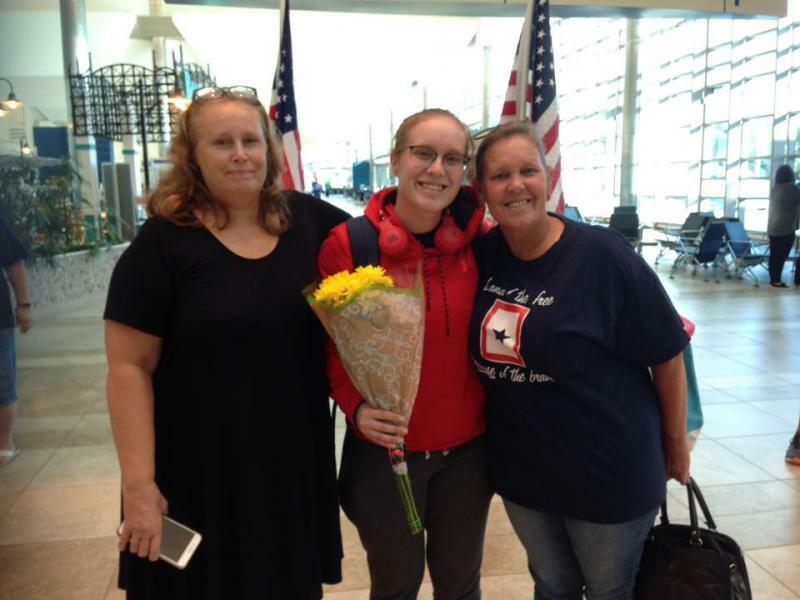 Our members are at all different stages of their loved one's military careers and can help you with your questions and concerns.